Nest Labs is adding Google's facial recognition technology to a high-resolution home-security camera, offering a glimpse of a future in which increasingly intelligent, internet-connected computers can see and understand what's going on in people's homes. 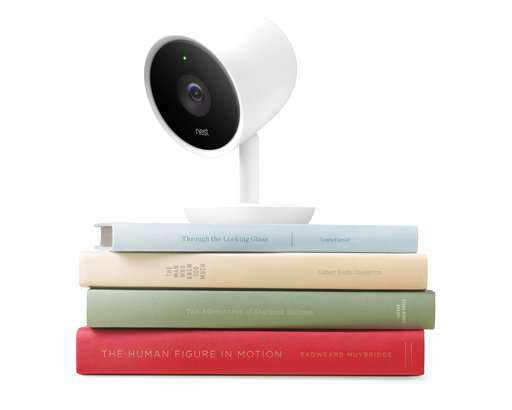 The Nest Cam IQ, unveiled Wednesday, will be Nest's first device to draw upon the same human-like skills that Google has been programming into its computers—for instance, to identify people in images via its widely used photo app. Facebook deploys similar technology to automatically recognize and recommend tags of people in photos posted on its social network. Nest can tap into Google's expertise in artificial intelligence because both companies are owned by the same parent company, Alphabet Inc.
With the new feature, you could program the camera to recognize a child, friend or neighbor, after which it will send you notifications about that person being in the home. Nest isn't saying much about other potential uses down the road, though one can imagine the camera recognizing when grandparents are visiting and notifying Nest's internet-connected thermostat to adjust the temperature to what they prefer. Or it might be trained to keep a close eye on the kids when they are home after school to monitor their activities and send alerts when they're doing something besides a list of approved activities. The new camera will begin shipping in late June for almost $300. You'll also have to pay $10 a month for a plan that includes facial recognition technology. The same plan will also include other features, such as alerts generated by particular sounds—barking dogs, say—that occur out of the camera's visual range. The camera will only identify people you select through Nest's app for iPhones and Android devices. It won't try to recognize anyone that an owner hasn't tagged. Even if a Nest Cam IQ video spies a burglar in a home, law enforcement officials will have to identify the suspect through their own investigation and analysis, according to Nest. Facial recognition is becoming more common on home-security cameras. Netatmo , for instance, introduced a security camera touting a similar facial recognition system in 2015. That camera sells for about $200, or $100 less than the Nest Cam IQ. The way that the Nest and Netatmo cameras are being used doesn't raise serious privacy concerns because they are only verifying familiar faces, not those of complete strangers, said Jennifer Lynch, who specializes in biometrics as a senior staff attorney for the Electronic Frontier Foundation, a digital advocacy group. But Lynch believes privacy issues are bound to crop up as the resolution and zoom capabilities of home security cameras improve, and as engineers develop more sophisticated ways of identifying people even when an image is moving or only a part of a face is visible. Storing home-security videos in remote data centers also raises security concerns about the imagery being stolen by computer hackers. "It definitely could become a slippery slope," Lynch said. 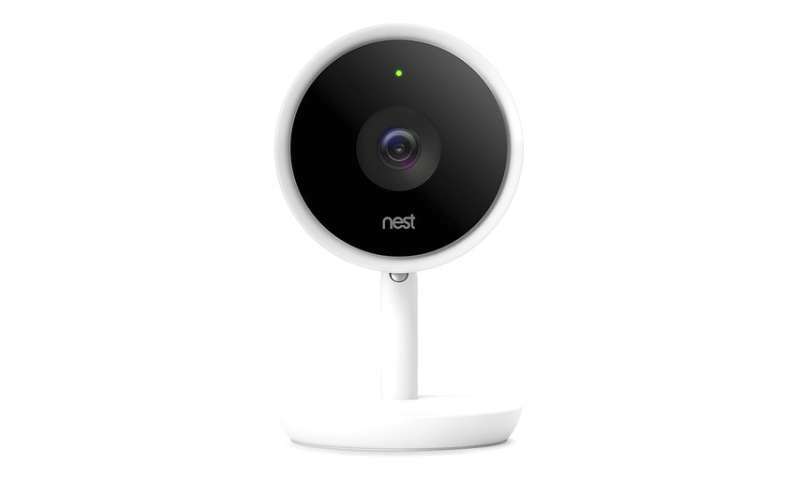 The privacy issues already are thorny enough that Nest decided against offering the facial recognition technology in Illinois, where state law forbids the collection and retention of an individual's biometric information without prior notification and written permission. Nest's $10-a-month subscription includes video storage for 10 days. Video can be stored up to 30 days with an upgrade to a subscription plan costing $30 per month. The high-end camera supplements lower-resolution indoor and outdoor cameras that Nest will continue to sell for almost $200. Neither of the lower-end cameras is equipped for facial recognition. How much does it cost *not* to be stored at all? Not available at any price evidently.